Tejas is compound tailless delta wing multirole Indian fighter aircraft. It is designed and developed by DRDO aeronautics cluster ADA(aeronautical development agency) and being produced by Hindustan aeronautics limited as per its initial operational clearance configuration. TEJAS AS THE PRIDE OF INDIA: I love this plane not because it is beautiful, but because it is Indian (designed and developed in India), the first plane which is truly designed by Indian.It is very light and small. and by taking off from SBTF facility, Goa. IAF never supported fully this Desi bird.As it is first Indian combat aircraft it has some flaws, but these can be eliminated in the mid-life upgrade. It has completed its IOC tests and near to get FOC, till now Indian Air force has ordered only 40 plane which is very less than what it should be as IAF need about 400 light weight single engine fighter. 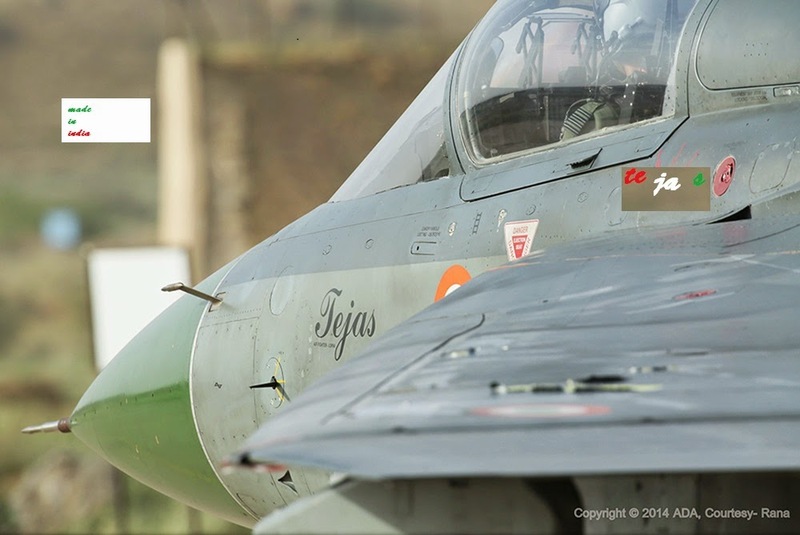 DESIGN: Tejas is designed along the single engine, unstable tailless compound delta wing configuration. As it is unstable in needs to makes stable which is done by flight control computer.As we read "it is unstable " one question arises why it is so?,what is the advantage?how does it fly smoothly as we know? in now days combat aircraft must be highly maneuverable aircraft for air to air combat.In your views which are more maneuverable a stable car or an unstable bike , which can turn faster? the answer is bike.that is why Tejas is made astable. Tejas flight control system is quadruplex digital fly by wire(fbw) system.Fly by wire means its actuators which control the control surface movement is controlled by electronic signals, not by mechanical means. the fbw software is made by national CLAW team and was validated, which was a big achievement.Till now Tejas had completed as more as 2800 flights without any accident , this proves how reliable its fbw system is. go to 35-degree AOA without its control surfaces going to stall. ENGINE: Tejas use American GE F404 IN 20 engine.it is a low bypass turbofan engine. With this engine Tejas has 1.07 thrust to weight ratio which is best in its class.Due to its high thrust to weight ratio and low wing loading it has high instantaneous turn rate and sustained turn rate.Its high ITR provide an opportunity to get a first lock and hence the first attack. ARMAMENT: Tejas has 7 hard points for weapons and one for targeting pod like lightning targeting pod. Tejas can carry 3.5 ton of weapons on its 8 hard points.the configuration of weapon is shown in above image.It can carry 1250 litre on its two inner sides of hard point on the wing and can carry 750 litres of fuel on centerline hard point.Tejas external hard points is use to carry two high off bore sight R 73 missile, which has a range of 35 km and it uses IR sensor.R 73 is main close combat missile of Tejas. Derby and Python will be integrated on Tejas as beyond visual range missile (WVR).The Astra missile will also be integrated on Tejas. As Tejas is a multi-role fighter it can carry the iron bomb, laser guide bomb(LGB) and anti-ship missile also.Tejas main BVR missile will be I-Derby ER which has range excess of 100 km. pilot to fly without any need for seeing around in cockpit.tejas has an electronic warfare suit for better survivability.It includes radar warning receiver, automatic flare and chaff launcher.In future, it may be outfitted with the radar jammer also. 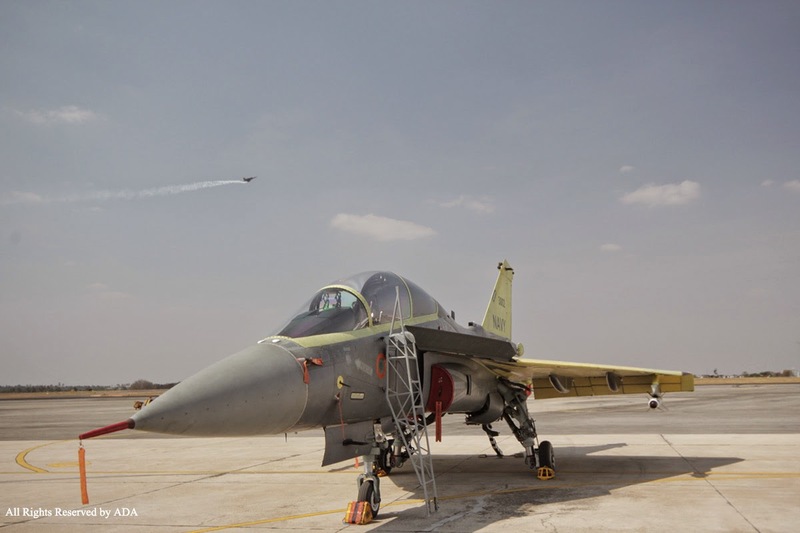 Tejas has a multi-mode radar (MMR) which is developed from elta m2032 radar.the radar antenna is indigenous but is processing end is developed by Israel.its range is said to be about 100km for fighter size aircraft(RCS of 5m2).The radar has sub air to air mode , air to the ground mode or sar mapping mode and air to sea mode.it can track sea targets from 300km away. 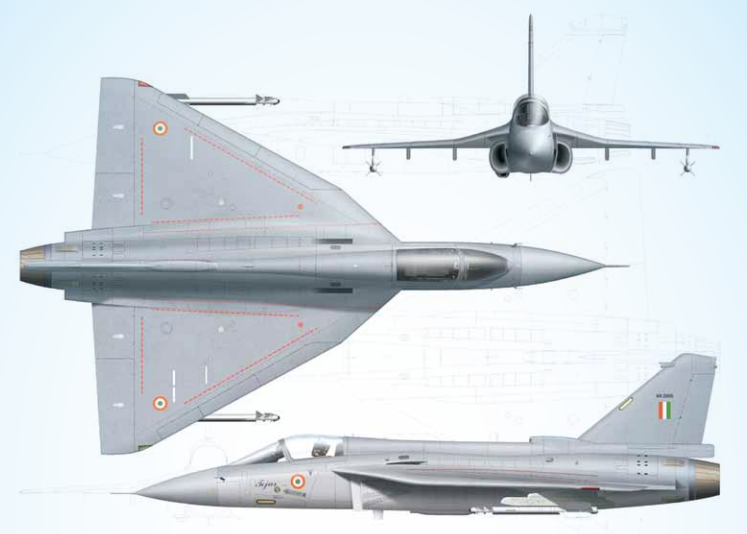 RANGE: Tejas is lightweight fighter its so combat radius is little less than medium weight fighter aircraft. There is a separate program along with the IAF Tejas to develop a naval carrier-borne fighter on the basis of the Tejas platform. 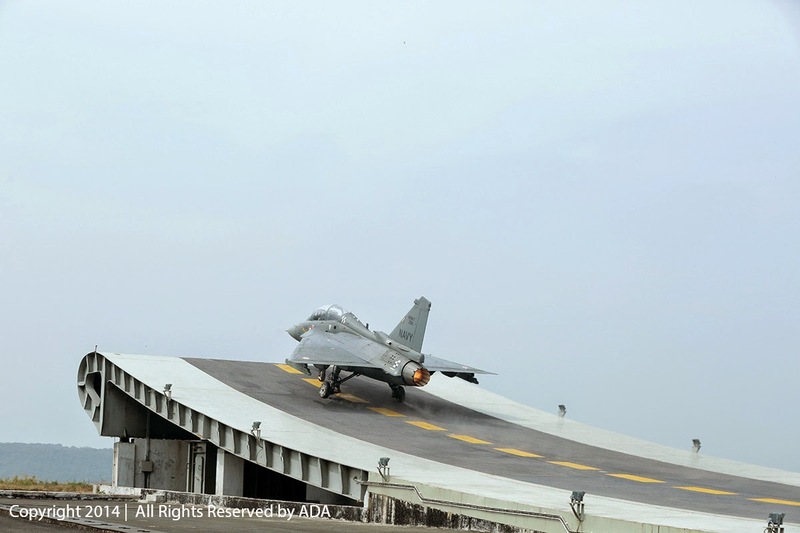 It has a stronger landing gear for carrier operation.it has leading edge vortex controller (LEVCON),it helps naval Tejas for better low-speed handling and , approach speed and sink rate for arrested landing.there is plan for 5 naval prototypes out of which 3 will be mk1 and two mk2.NP1 had taken off from shore-based test facility , Goa last year end.with that event India becomes one of the elite countries to develop its indigenous carrier-borne fighter. elta m 2052 radar and electronic warfare suit which is being developed for the Tejas mark 2. these upgrade will make Tejas best BVR fighter plane in the lightweight category.